Our Pre-Kindy room is full of busy and curious little people. This is where most of our messy play and sensory activities happen, as children use paint, glue, and a wide range of materials to develop motor skills. At this age, our talented team of passionate educators also focus on developing children’s social skills, like turn-taking and sharing. At Strathpine Early Learning Centre, we provide nutritious meals which are prepared daily in the centre, so you don’t have to worry about packing lunch every day. Our centre also has an amazing outdoor environment which has been specifically designed to inspire children's learning through play, featuring many different areas for children to enjoy. 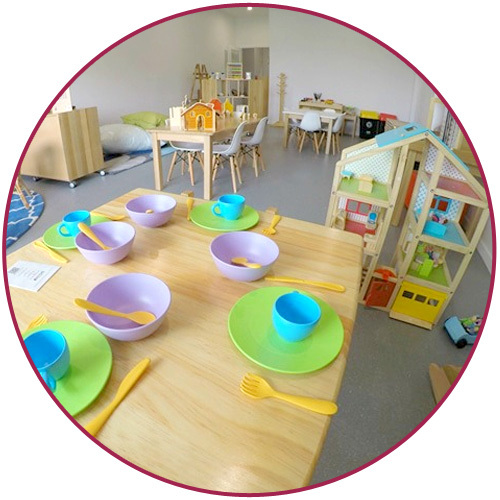 Our Pre-Kindy room can accommodate 16 children on our busiest days.